Kuenko, which just arrived in Miami, has joined the outstanding roster of culinary concepts at The Wynwood Yard. Spanish chef Ricardo Sanz, whose most well-known restaurant is the Michelin-starred Kabuki in Madrid, created the menu and oversees the menu, techniques and training at Kuenko. 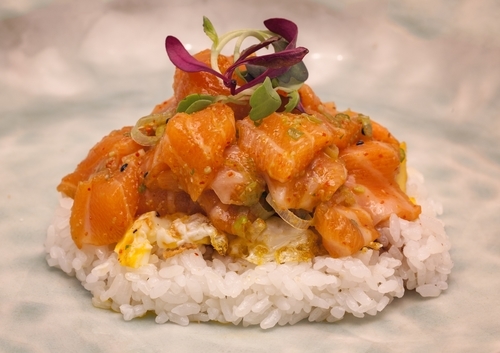 He has partnered with Anthony Ricci (a former pro player for the Argentino Juniors and Miami United), Matias Ricci and Amado Rodriguez to bring his food to the United States, starting in Miami.The simple menu celebrates and fuses Japanese simplicity and Spanish boldness with a variety of donburi or rice bowls. Butterfish donburi brims with pristine fish, special rice, nori, white truffle pate, a delicately fried quail egg,Japanese lettuce, crispy fried onion and secret sauce. 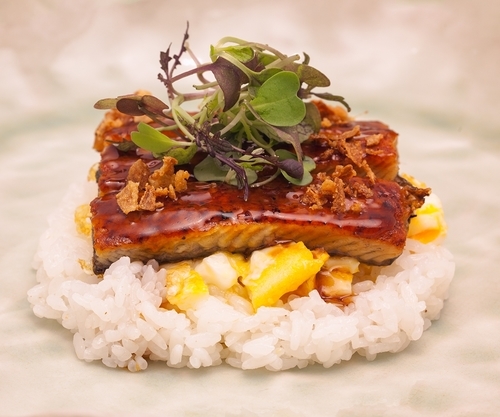 Or try the donburi bowls with spicy tuna, eel kabayaki, shredded Angus beef, vegetables, or shrimp tempura. The dishes are prepared fresh, right before your eyes. (See the full menu. )The Kuenko pop-up will be open at The Wynwood Yard (56 NW 29th St.) during these hours: Tuesdays 5 to 9 p.m.; Wednesdays and Thursdays noon to 9 p.m.; weekends noon to 3 p.m., and 7 p.m. to midnight.Kuenko joins The Wynwood Yard’s exploding roster of innovative culinary concepts, including della test kitchen, Myumi, Richard Hales’ Bird and Bone (opening very soon), Mr. Bing and Mortar & Pistil bar.